Just imagine this: you and your dining companion sit down in a rather run-down restaurant eatery and order the signature Thai Milk Tea. The cold and creamy drink suddenly makes the stuffy room more bearable, and you are finally ready to look through the menu. The must-order dishes here are surely the Phat Thai ($5) and Pineapple Fried Rice ($6). There’s no fussy presentation to bewitch you, nor are there nice plates that hold the food. You would be tempted by the steamed fish dishes (from $25-$30), which are very popular with the customers at Aroy Dee. You would also wonder if it is wise to order the Thai Tom Yum Soup ($6), Mango Salad ($6), and Deep Fried Calamari ($10) when there is a table of food. Eventually, the temptation was too much to resist and we succumbed to the Fried Garlic Prawn ($10). It was definitely an impulsive order as there was too much food and we could not even finish half of it. 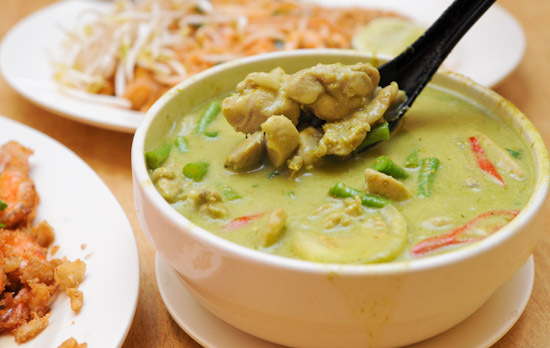 And did I tell you about the Chicken Green Curry ($6)? 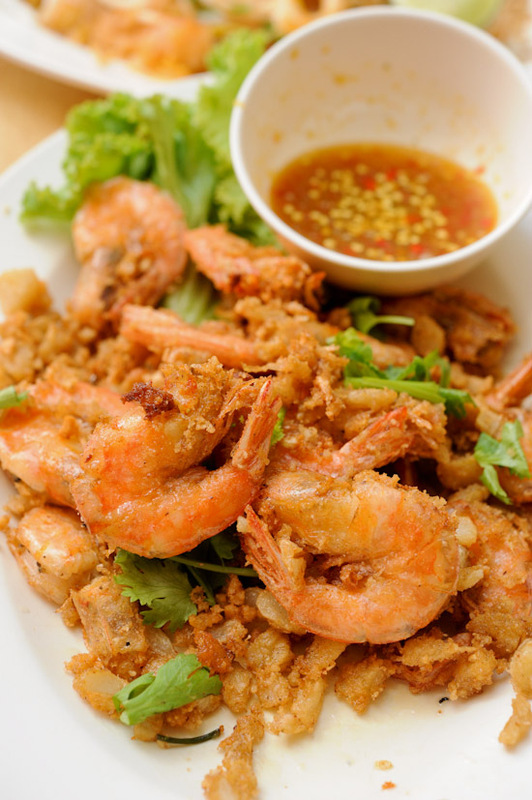 By now, I’m sure you are too full to read about it, so go down to Aroy Dee Thai Restaurant to try it for yourself. I cannot decide between Aroy Dee and Thai Gold Food, so I will probably go to the one which is less crowded. This place is the favourite to a lot of NAFA students! Haha! Their tomyam seafood/chicken is the best if you can take very spicy stuff! And the ingredients they use in the tomyam soup is as though they are free! Can never finish the seafood/chicken whenever I order! Just one thing though, I don’t like sitting inside, your hair and clothes will smell funky! what coincidence, i checked out Aroy Dee just on friday. definitely a gem…. they have pork fried rice that is (by far) most similar to the ones i had in suan lum bangkok, so im very impressed, their green curry is equally good. besides, it’s pretty wallet friendly. ohyes, the thai milk tea is a must have! just curious…. do they have mango sticky rice? Jayden: Yeah sitting inside makes you smell! I didn’t have a choice though, waited a while outside but couldn’t get a table. hahaha dude you really love Thai food! Bernice: Oh yes, very wallet friendly! They have mango sticky rice for desserts, you didn’t see it on the menu? 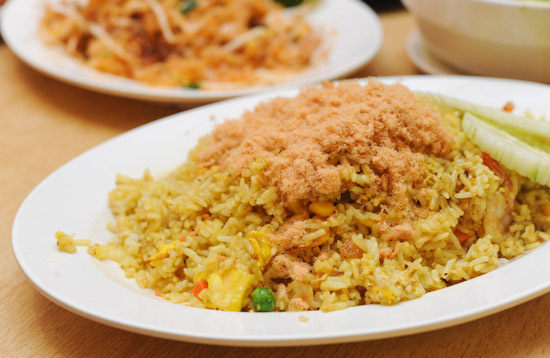 Aroy Dee have actually moved to a location nearby on 262 Middle Road. The restaurant looks so much nicer – bigger, airy and plenty of seating. Love this restaurant – one of my favourites in Singapore!